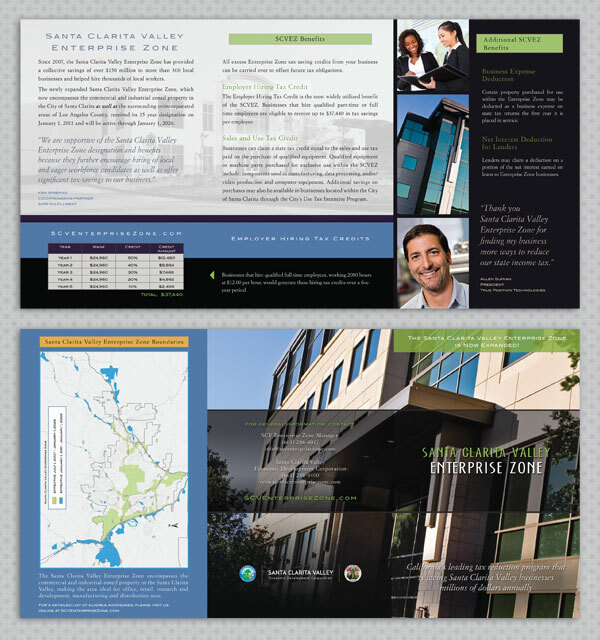 McGregor Shott worked with the City of Santa Clarita to provide all submission materials to qualify for Enterprise Zone Designation, a six month process. Designation was awarded. In the years that followed, McGregor Shott created branding for the Enterprise Zone, including logo, brochures with map, street banners and transit shelter posters, rack cards, press kits, website, and various advertising and direct mail materials for upcoming workshops and events. 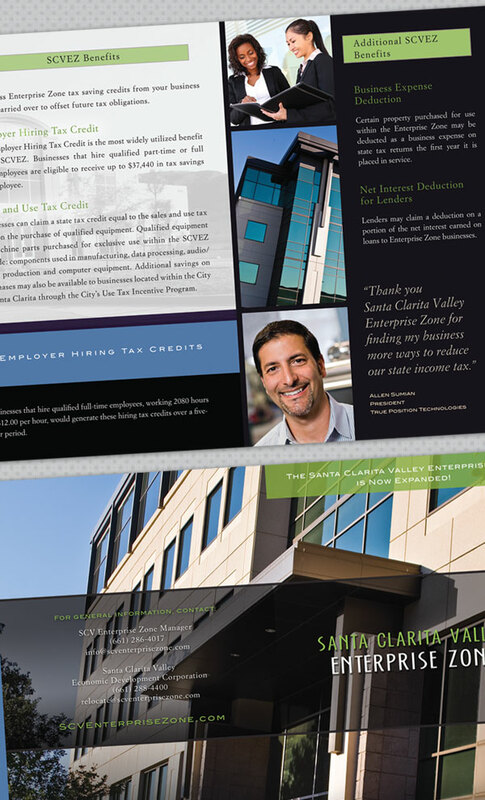 The brochure, originally created in 2000 and kept current as boundaries expanded, was created to inform qualified businesses of the latest tax savings and benefits of participating in the program.